13th March 2014. ExplorOz National Members' Gathering 2014 News; Around Australia on a Working Holiday - New Article; Caravan Buyer's Guide - Just Arrived; Travel Tips and Alerts - Seasonal Burnings and Simpson Desert update. 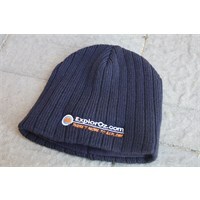 Voting for the ExplorOz Photo Comp closes on the 21/3 so don't forget to get your votes in! For all of the details, see last week's Newsletter 323. Our must-see places in Australia survey also ends midnight 19/3, with 10 copies of 4WD Australia - 50 Short Getaways up for grabs, Click Here to Take the Survey and go in the draw to win. The ExplorOz National Members' Gathering 2014 will be held at Trilby Station located on the Darling River Run from the 28th of September to the 4th of October. This is just 6 months away, so it's time to start planning! The first step is to register your interest on the Gathering Page. Then make your booking for accommodation at Trilby Station, there are a range of options to suit your set-up, and make sure you mention your member number when booking. Not only will you ensure that you don't miss out on a place at the Gathering, this helps to plan activities (and prizes and giveaways!) to suit the number of attendees well in advance. When Ian Hookway started planning what would became a 3 year working holiday around Australia with his family, he discovered there aren't any "how to" guides. Thanks to his experiences, we have compiled practical advice and tips covering the main issues you'll be faced with if you're contemplating this rather unconventional family adventure. Read the New Working Holiday wih Kids Article. Hema Navigator 7 - Pre Order Now! The release of the Hema Navigator HN7 has been announced, and exclusive to ExplorOz, you can order your device pre-loaded with additional EOTopo200K as one of our buying options. Stock is expected at the end of March, so place your pre-order now! Caravan Buyers Guide - Just Arrived! Did you know there are well over 100 brands of caravan on sale in Australia? The Caravan Buyers Guide is the only independent guide to buying a caravan in Australia. First published in early 2014, it is completely new and up to date. The Caravan Buyers Guide helps you choose the right caravan for your needs. Fully illustrated and using simple, clear explanations, the guide will inform you on all issues affecting caravan owners from purchasing, insurance, accessories and much, much more. Available for $34.95 ($33.20 for Members) from the ExplorOz Shop. When planning a trip, do you think to check for planned reduction burns in the area you'll be travelling? This blog by our Roads Coordinator, Life Member - Mike (SA), highlights the potential for disruptions and road closures that you might not have considered. See Planned Seasonal Burnings Around Australia. The outback travel season officially commences this weekend with the Simpson Desert scheduled to reopen on Saturday 15th March. Road and Track Conditions Australia-wide are published and updated weekly in the ExplorOz Road Conditions Report. Anecdotal reports from travellers can also be added. Simply find the track you wish to report on & click the comments section.